The International Criminal Court is holding a multi-day hearing beginning Thursday to determine whether it should go forward with the trial of Lord’s Resistance Army commander Dominic Ongwen. He is facing 70 charges of war crimes and crimes against humanity, including murder, enslavement, pillaging and cruel treatment of civilians. After hearing from prosecutors and the defense during the hearing that is expected to last no more than five days, a judge will decide if there is enough evidence to warrant a trial. Ongwen turned himself in a year ago to U.S. special forces in the Central African Republic, ending a 10-year effort to have him face charges for LRA atrocities. Joseph Kony, leader of the Lord’s Resistance Army during a meeting with a delegation of 160 officials and lawmakers from northern Uganda and representatives of non-governmental organizations, July 31, 2006, Congo near the Sudan border. The group is accused of killing and kidnapping tens of thousands of people across Uganda and three nearby countries during the past 30 years. Human Rights Watch said Thursday’s proceedings mark an “important step for accountability” for crimes committed in Uganda. 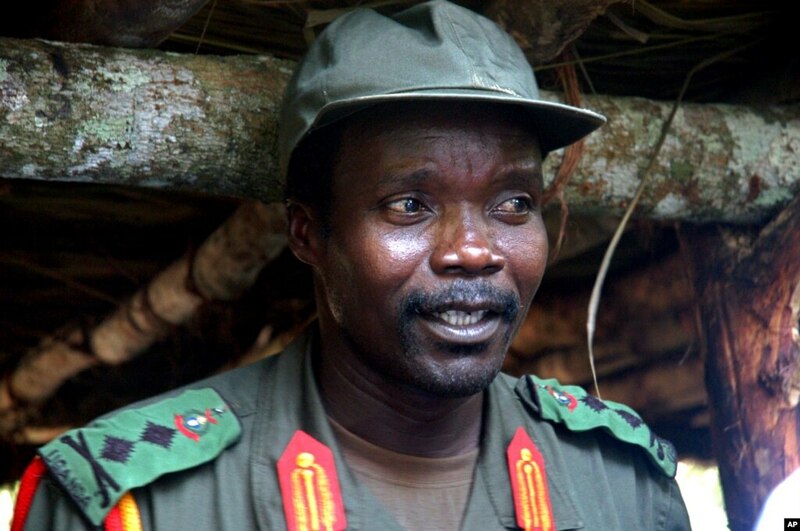 The ICC has charged four other top LRA members, but two of them have since died and the others, including commander Joseph Kony, remain at large. Kony was also indicted by the court in 2005 and remains one of the world’s most notorious fugitives from justice. like what you’ve acquired right here, certainly like what you’re stating and the way through which you say it. Appreciation to my father who stated to me regarding this webpage, this webpage is truly awesome. the best I’ve came upon so far. But, what in regards to the bottom line? What i do not realize is in truth how you’re not actually much more smartly-liked than you may be right now. such familiarity, so it’s pleasant to read this weblog, and I used to pay a quick visit this webpage daily. Thank you for every other informative website. The place else could I get that kind of info written in such an ideal approach? (not that I actually will need to…HaHa). You definitely put a new spin on a topic which has been written about for years. Hi there, just was aware of your weblog through Google, and found that it is truly informative. your site is fantastic, as smartly as the content! understanding anything totally, but this article presents pleasant understanding even. this site is really pleasant and the viewers are actually sharing good thoughts. my visitors would appreciate your work. If you’re even remotely interested, feel free to shoot me an e-mail. clutch your RSS feed to stay updated with impending post. individuals are searching round for this info, you could aid them greatly. you have been working with? I’m having some small security problems with my latest website and I’d like to find something more safe. the finest blogs online. I am going to highly recommend this web site! I am happy to seek out numerous useful info right here within the publish, we need develop more techniques on this regard, thank you for sharing. this web site contains awesome and in fact good stuff in favor of visitors. What’s up i am kavin, its my first time to commenting anyplace, when i read this piece of writing i thought i could also create comment due to this good post. Wonderful beat ! I wish to apprentice while you amend your website, how can i subscribe for a weblog site? up all over the internet without my permission. Do you know any ways to help prevent content from being ripped off? in his/her brain that how a user can be aware of it. Thus that’s why this post is amazing. Yes! Finally someone writes about design t-shirts online. Appreciation to my father who stated to me regarding this blog, this webpage is really amazing. For latest information you have to go to see internet and on web I found this website as a best web page for latest updates. I am in fact glad to glance at this blog posts which consists of plenty of useful facts, thanks for providing these kinds of data. Hi there terrific blog! Does running a blog like this take a lot of work? on your blog, I seriously appreciate your technique of blogging. I book marked it to my bookmark site list and will be checking back soon. Please visit my website as well and tell me your opinion. The clearness in your put up is just nice and i can assume you are a professional in this subject. with approaching post. Thank you one million and please continue the rewarding work. Hi there, all the time i used to check blog posts here early in the break of day, because i love to learn more and more. As the admin of this web page is working, no hesitation very shortly it will be renowned, due to its quality contents. amount of work? I’m completely new to running a blog however I do write in my journal daily. Spot on with this write-up, I actually believe that this site needs much more attention. I’ll probably be back again to read more, thanks for the advice! stay it wise. I can’t wait to read far more from you. That is actually a terrific website. like this before. So great to discover someone with some unique thoughts on this subject. all of your post’s to be just what I’m looking for. can you offer guest writers to write content for yourself? Hurrah! In the end I got a weblog from where I can actually get helpful data regarding my study and knowledge. should also go to see this weblog on regular basis to obtain updated from most up-to-date reports. I got this website from my buddy who told me about this web page and now this time I am browsing this web page and reading very informative posts at this place. Hello, yup this paragraph is in fact pleasant and I have learned lot of things from it on the topic of blogging. It’s remarkable in support of me to have a site, which is beneficial designed for my experience. Thanks for finally talking about >ICC to Decide if Lords Resistance Army Ex-commander to Be Tried – Le Nouveau Centrafrique <Liked it! Genuinely when someone doesn’t understand afterward its up to other users that they will help, so here it takes place. Anyway I will be subscribing in your feeds or even I success you access constantly fast. You know, lots of individuals are searching around for this info, you could aid them greatly. reporting! Keep up the fantastic works guys I’ve added you guys to our blogroll. generic tadalafil yahoo answers http://cialislet.com/ generic cialis. not certain whether or not this submit is written by means of him as nobody else understand such distinct about my problem. internet and on web I found this site as a best web site for newest updates. excellent content as you did, the internet will probably be much more useful than ever before. to say concerning this paragraph, in my view its in fact amazing designed for me. yourself? Anyway keep up the excellent quality writing, it’s uncommon to peer a great blog like this one these days..
this website consists of remarkable and truly good stuff in support of readers. Helpful info. Lucky me I found your website by chance, and I’m shocked why this coincidence didn’t happened in advance!